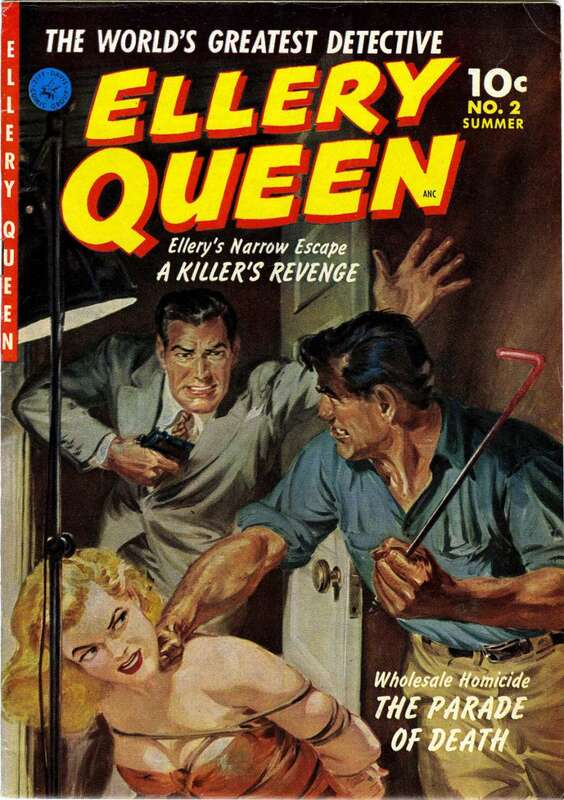 In 1952, Ziff Davis published two comic books featuring Ellery Queen. 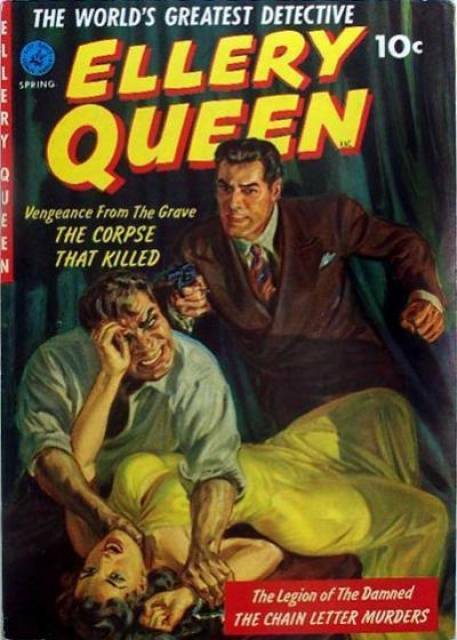 The covers sported paintings reminiscent of the pulp magazines, but the interiors were basic comic-style of the day. published several genres of comics, including detective, horror, western, jungle and romance. Most of the comics had been cancelled by 1953. The company is still going strong today, due to its ability to continually remake itself. The comics can be read here.